Tecnotion is the global authority on direct drive motor technology. As a former part of Philips, we are the world's only unbundled manufacturer of linear and torque motors. We specialize solely in the development and production of direct drive motors, which allows us to provide expertise, customer service and product quality that are unmatched by other direct drive manufacturers. Simple, Accurate and fast, finally a tool is offered that gets you the precision you define! 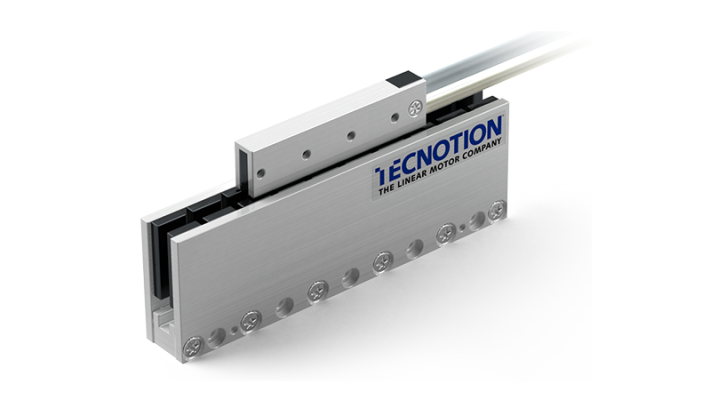 The pre-selection of the linear motors are usually based on the required forces and the data sheets of the motors. The Tecnotion modelling tool takes Tecnotion defined data along with customer critical application inputs like thermal mass, and motion profile and ambient temperature in a easy to use and adjust software executable platform. 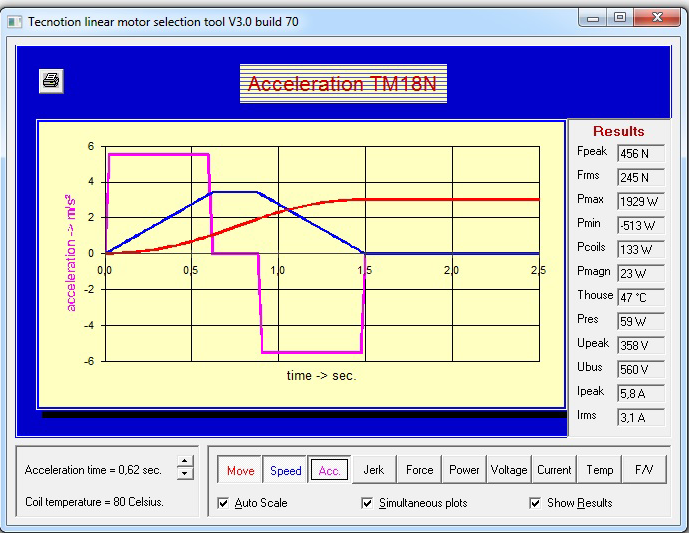 With just one click the simulation tool calculates the performance of the selected motor. Various aspects are graphically displayed, like temperature, forces required, jerk, electrical current and bus voltage. A Force / velocity diagram is available as well. The easy to use interface allows dynamic modelling and changes to the customer defined parameters allowing simple “what if this changed” calculations. Particularly helpful is the calculated coil temperature. It provides critical information about the motor sizing, is there still headroom available? 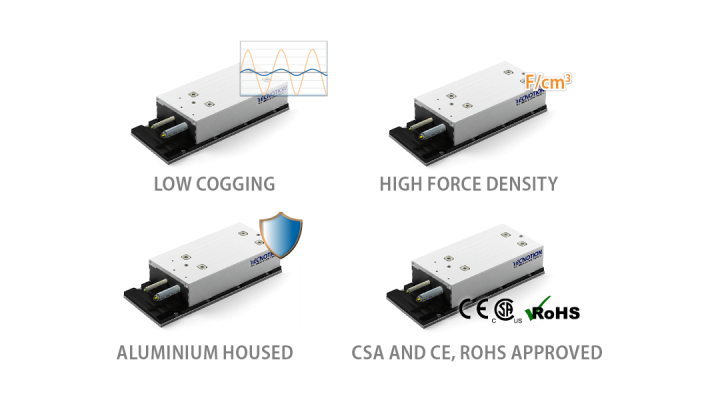 Or is the linear motor used on the edge of its performance. Questionable values are highlighted when specification cannot be reached. It is very easy to see what will happen when the moving mass is changed, or what the performance of the system will be when a smaller motor is selected. The simulation tool accepts different types of motion profiles that can be used in sequence, covering a wide range of applications. Simulations can be saved for later use and a detailed simulation report can be saved for later reference. Tecnotion’s simulation tool provides engineers a fast method to solve their design challenges. The simulation tool can be downloaded free of charge at our information portal. Tecnotion application engineers are happy to support you and if desired will review, or setup a simulation for you.